Well, hello again! I have exciting news. 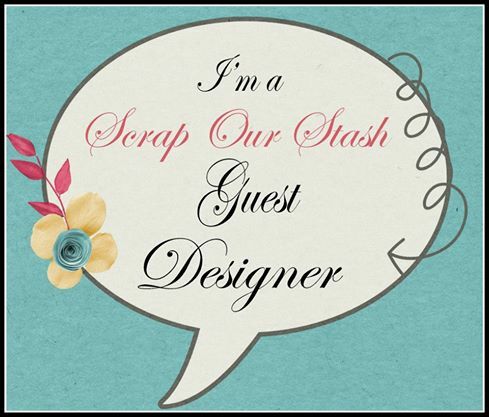 I was asked to be the Guest Designer at Scrap Our Stash this month! 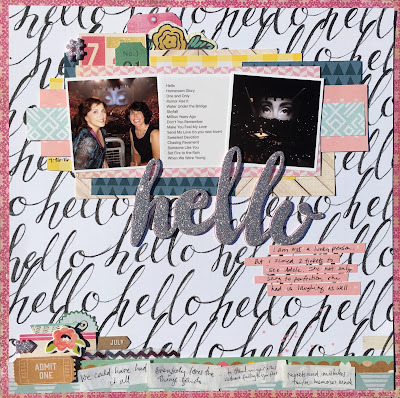 In this role I will be sharing layouts I created based on the two August challenges. 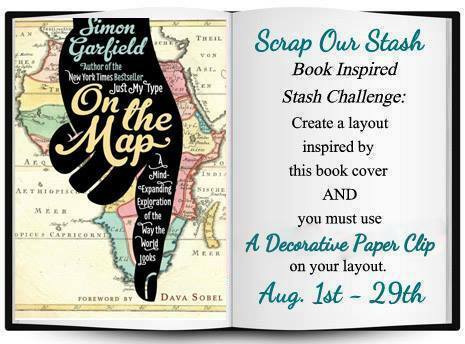 The first is the new Book Inspired Challenge. 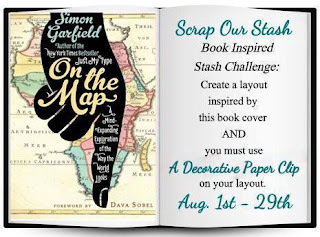 When I first looked at the book cover, I saw the maps and thought of a travel layout. The more I looked at it, the more I was attracted to the cursive writing in the hand. The script made me think about this "Hello" paper that I purposely purchased after getting tickets to see Adele in concert. 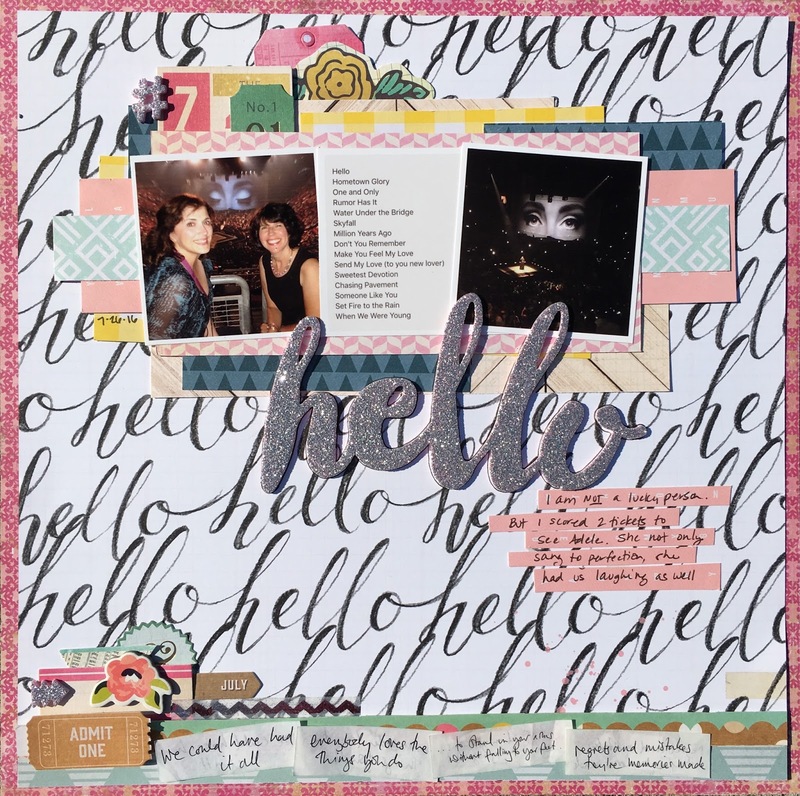 It was the perfect inspiration for this challenge and to create a layout about the evening. The arrow near the photo of my friend and I is the decorative paper clip. The layout is very busy, so this helped draw the attention to us. I also created layers to keep the photos in focus. The strips at the bottom are pieces of confetti blown at he end of the concert. Thank you so much for stopping by my creative view today. 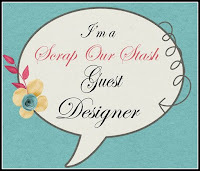 Join this months challenges at Scrap Our Stash for an opportunity to win a prize or become their next guest designer.